Hello my lovelies! After a few weeks of unbearably high temperatures it's finally raining today. I'm happy that we get to cool off a bit but I'm not happy because it feels like fall is coming. Hopefully it's not the case because there's still plenty of summer to enjoy. I'm leaving town on Thursday and I can't wait. 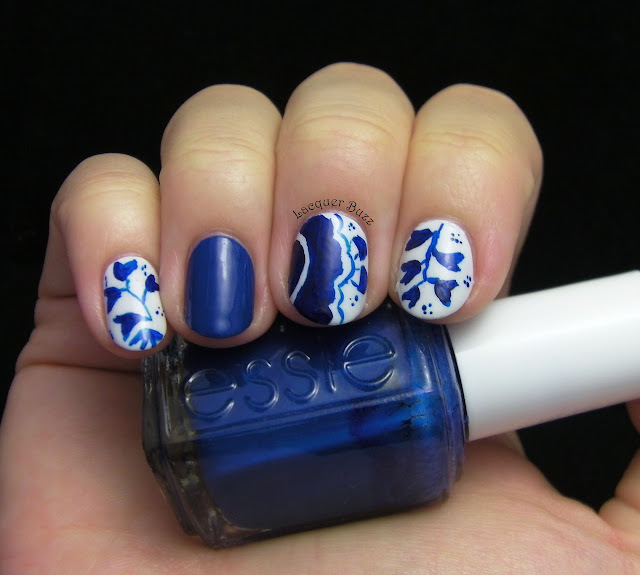 I will be visiting Amsterdam so that's what inspired me to create today's nails. 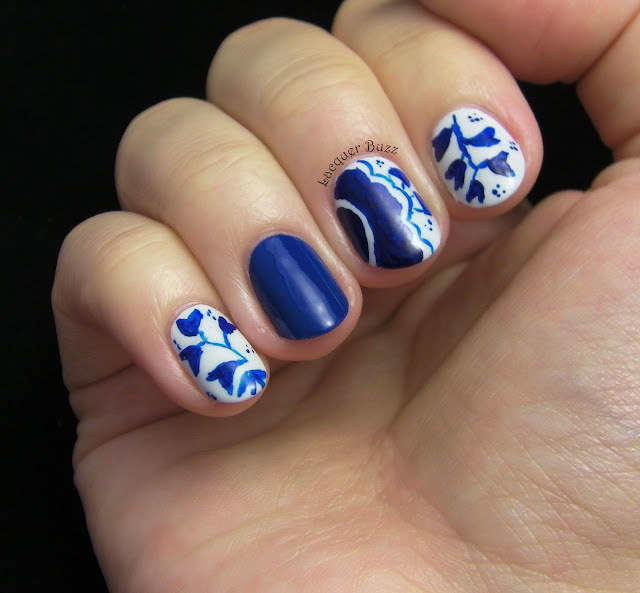 I tried to paint the pattern of Delft pottery and here's the result. All in all I'm pretty happy with how these came out since it's the first time I've done a freehand manicure in many many months. I used acrylic paints and some thin brushes to paint these. 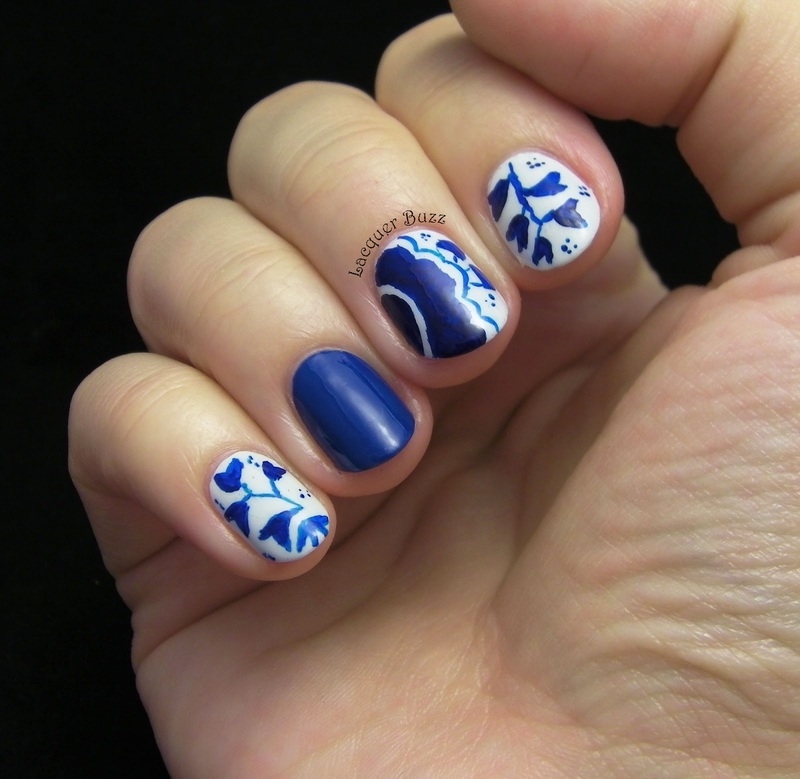 The pattern is from an antique Delft plate that you can see here. 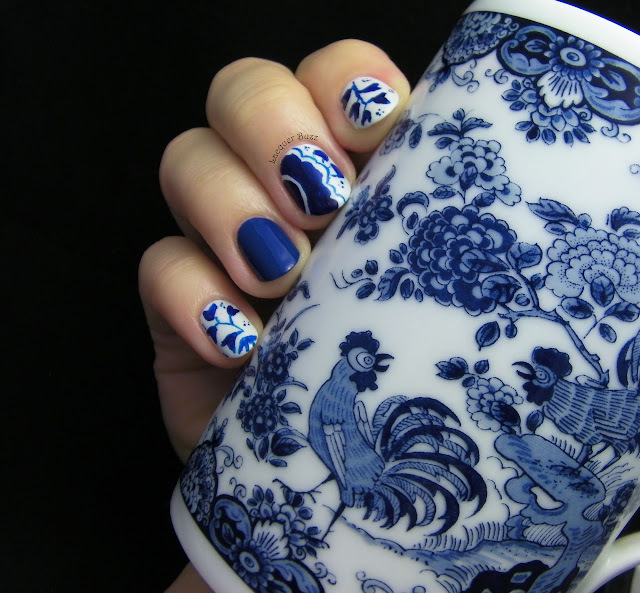 I do own a Delft mug and it's my favorite one but the designs on it are so intricate that there was no way for me to paint them. Here's a photo of the said mug. As a base polish I used my trusty OPI My Boyfriend Scales Walls and for the accent nail I used Essie Mesmerize. 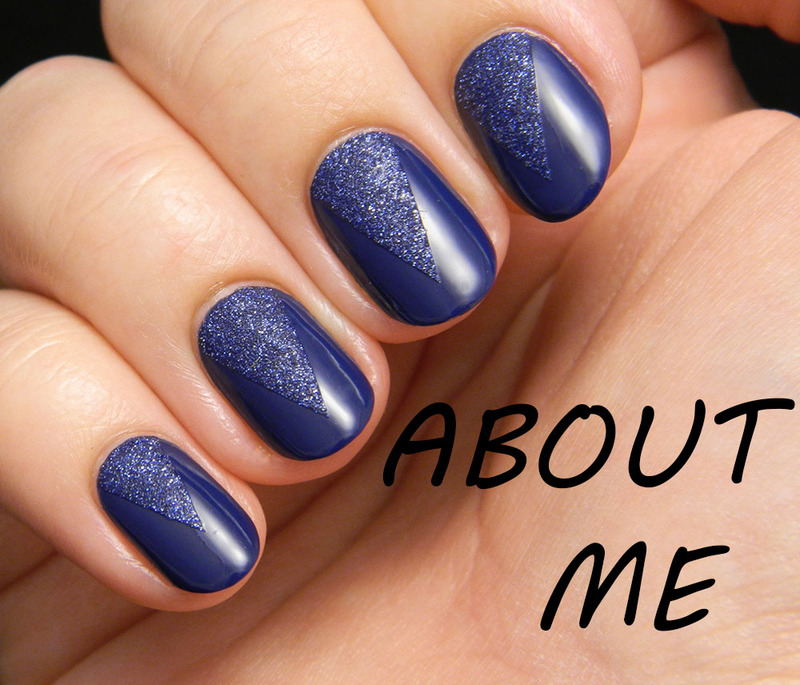 This manicure had a different version initially but I didn't like it so I redid the middle finger and the pinkie. I think I like the initial middle finger better but the pinkie has definitely improved a lot. 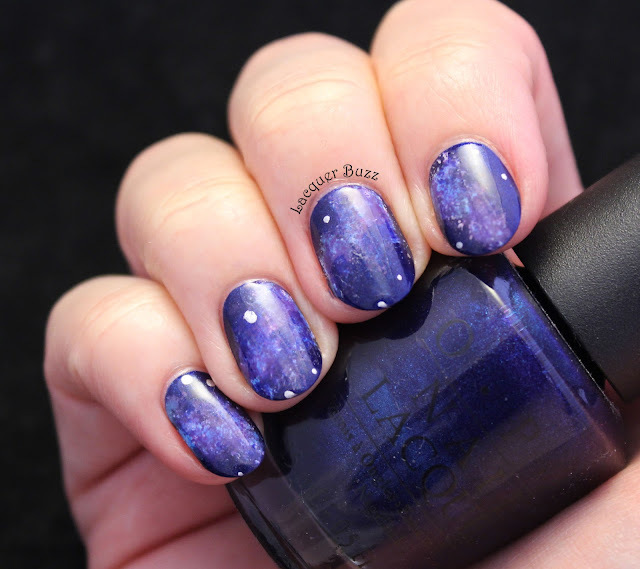 I'm happy with this manicure but most of all I'm happy that I managed to do a freehand manicure after all this time. Hopefully I will do another one soon. 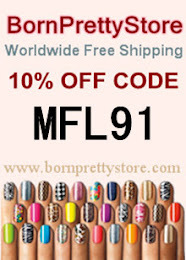 I'm very excited for my holiday but don't worry cause I will schedule a couple of post to keep you busy while I'm away. 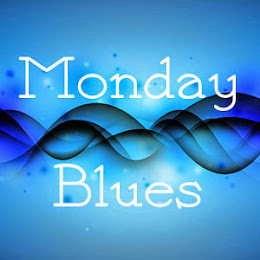 Don't forget to check out the rest of this month's Monday Blues in the links below!